Richard Falk is an American professor Emeritus of International Law at Princeton University. He just completed a six-year term as United Nations Special Rapporteur on Palestinian human rights. He was appointed to this role by the UN Human Rights Council, in 2008. Ken Klippenstein: Could you describe Sisi’s [Egypt’s new leader] relationship with Hamas? Richard Falk: The [Sisi] government is determined to destroy the Muslim Brotherhood and they view Hamas as an extension of the Brotherhood. So they’re, in a certain way, on the same side as Israel on this particular confrontation. 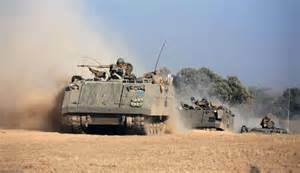 KK: Has the aerial bombardment campaign adopted by Israel done anything to decrease the rocket fire coming from Gaza? RF: There’s no evidence that it has. It certainly has caused some damage and some deaths to those involved in either making or deploying and firing the rockets. But there’s no discernable effect in stopping Hamas’ and other militias’—it’s not only Hamas, there are other militias, some of which Hamas doesn’t control—that have engaged in this kind of rocket fire. The only alternative to using these rockets for defenseless people like those living in Gaza is to absolutely do nothing—to be completely passive. They have no military capability to resist Israel on the ground or in the air or from the sea. So it’s a very one-sided war; and one-sided wars are, in my view, by their very nature unlawful and constitute crimes against humanity. KK: Since Palestine lacks statehood, does that deny them recourse to the protections afforded by international law? RF: The UN General Assembly on Nov. 29, 2012 passed a resolution recognizing the statehood of Palestine as a non-member observer state of the UN. That has been interpreted as giving Palestine the status of being a state in international society for most purposes. They have joined UNESCO, for instance, as a member state, and they’ve adhered to more than 15 international treaties open only to states. They’re recognized by, I think, 130 governments as a state. They could at this point seek redress at the International Criminal Court, a step that Israel and the United States have declared would be very provocative from their point of view and would lead to adverse consequences. In effect, the United States and Israel are saying it’s not acceptable to use international criminal law to uphold your legal rights. KK: What is the US role in the aerial bombardment campaign? RF: The US is definitely complicit and legally accountable, at least in theory, in that this weaponry is not supposed to be used except in accordance with international law; and if the whole undertaking is a violation of international law, then the United States is responsible, and should diplomatically have been seeking to restrain and censure Israel, rather than to lend its support. Beyond that, there is the sense that Congress itself—again at least theoretically—restricts military assistance to foreign countries in a way that is supposed to be compatible with international law and the UN Charter. So by the guidelines that are embedded in American law itself, this is an unlawful and unacceptable policy that the US government has been pursuing. KK: Could you talk about the legality of the siege of Gaza? RF: The siege of Gaza is clearly a form of collective punishment that is prohibited by Article 33 of the 4th Geneva Convention, which unconditionally prohibits any recourse to collective punishment. A blockade that has been maintained since the middle of 2007 is directed at the entire civilian population of Gaza. It includes many items that are needed for health, subsistence, and minimum requirements of a decent life. So in my view, Israel—as the occupying power (under international law) of Gaza—is supposed to protect the civilian population, rather than subject it to a punitive blockade of the sort that’s been in existence these past 7 years. 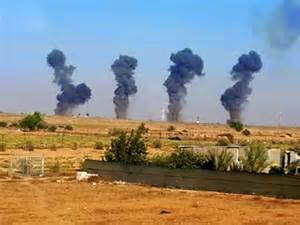 KK: Israel sometimes phones warnings ahead of time before bombing buildings. Do you believe that this constitutes a serious effort to minimize civilian deaths? RF: One would have to look carefully at each context. My impression is that Gaza is a place where there’s no real opportunity to escape from impending attacks. There may have been some lives saved as a result of these warnings. My impression is they’re not given consistently and comprehensively; and furthermore, that in the wider context of Gaza, there’s no opportunity for people to become refugees or to even move from points of danger to points of relative safety. It’s unusual in a wartime situation where almost always there is an option of crossing borders during a period of combat and finding some sort of sanctuary. Israel again, as the occupying power, has an obligation to see to it that the civilian population [of Gaza] is protected. They deny any kind of exit right to Palestinians living in Gaza, except those holding foreign passports (there are about 800 Palestinians with dual passports who have been allowed to cross the border into Israel). 150 of those have American citizenship and the US consulate has been facilitating their departure if those people want to. But in general, for the 1,700,000 Gazans, they are denied the option of becoming refugees or even of becoming internally displaced persons. And therefore they cannot escape from the fire zone that Israel has created. And even if they’re not direct casualties being killed or injured, they are living under the cloud of state terrorism maintained day and night over this period, in a way that psychiatrists and psychologists and mental health experts say is inducing mass trauma on the part of the Palestinian people, particularly among the children. Even before this attack there exists a highly anxious atmosphere because there are Israeli planes flying over all the time; and it’s never clear when they will do something that is hostile. People of Gaza, as I’ve been saying, are completely vulnerable. They have no way of fighting back. They are at the mercy of the Israelis. And the Israelis show very little mercy. KK: What is Israel’s legal rationale for denying Gazans the displaced persons status that you mentioned before? RF: As far as I know, they haven’t articulated any justification for this policy. They just close the borders and the international community has by and large been scandalously silent; and has remained so up to this time. KK: What is the US role in blocking a UN resolution condemning Israeli violence in Gaza? RF: As I understand it, the US did indicate its readiness to veto any resolution that blamed Israel, and there was support for such a resolution on the part of the majority of the members of the Security Council. What the UN ended up doing was issuing a statement that called for a ceasefire but it is a statement that has no binding legal effect and did not in any way censure Israel for its role. KK: Do you believe the Security Council should be reformed in any way, given the US’ propensity for vetoing otherwise unanimous Security Council resolutions? RF: I think it would be a helpful move from the perspective of global justice and the implementation of international law; but as matters now stand, it’s a very impractical step because no amendment to the UN charter can be made without the consensus of the 5 permanent members of the Security Council, each of whom has a veto. The United States and probably Russia and maybe China would veto any effort to deprive them of their veto rights. So it’s more or less gridlocked with respect to reform. KK: Would you support a call for an arms embargo on Israel? RF: Yes I would. I think it would be an appropriate move at this point. Israel has consistently defied international law in many different ways. It shows no sign of respecting the wishes of the international community, at this time, for an immediate ceasefire. So I think that the only way the world can show that it’s at all serious about protecting vulnerable peoples—in this case the Palestinians—would be to impose an arms embargo. Of course Israel has a very robust arms industry itself. It’s one of the ten leading exporters of arms. And it’s of course inconceivable that, at this stage, the US and several of the West European countries would respect such an embargo. Nevertheless, it would be an important symbolic step in the direction of delegitimizing the kind of behavior that Israel has been engaged in. KK: In the case of Israeli kidnappings and murder of Palestinians in Palestinian territory, can the perpetrators be brought before a Palestinian court or must Palestinians simply accept an Israeli court? RF: At this point they would have to accept the formal authority of the Israeli courts because the crime was committed in an area under Israeli legal administration. And the accused are in the possession of the Israelis and therefore they have the authority under international law to prosecute. If there’s not a serious assessment of the crime, it could be questioned as an evasion of the obligation to prosecute; and if found guilty, punish those that engage in this kind of behavior. Remembering that, as far as we know, this was purely private criminal activity. It was not something that the government can be shown to have authorized—although the background of incitement after the kidnapping of the 3 Israeli teenagers on Jun 12th is part of the broader context in which this crime occurred. KK: Are allegations of Hamas using human shields credible? RF: There hasn’t been, as far as I know, serious evidence that this has taken place. In fact there is evidence that the Israelis used Palestinians as human shields when they mounted the ground offensive back in 2008-2009. And even if the Palestinians did do this, it would still not vindicate Israelis shooting directly at civilians, unless there was some kind of argument of absolute military necessity, which is pretty remote from this situation. KK: Do you believe that Israel has been committing war crimes in Gaza? RF: Yeah. I think certainly there’s the basis for alleging war crimes. It requires a formal legal judgment to reach the conclusion that there have been war crimes committed. There is a presumption of innocence until proven guilty—that’s important to maintain. But certainly the evidence that I’m aware of suggests the commission of serious crimes against humanity and war crimes in the course of this operation. KK: Could you discuss the background of the crisis? Western media’s accounts usually begin with the kidnapping and murder of the three Israeli boys, omitting important contexts: the siege of Gaza, for instance. RF: The timeline for these justifications that are made by Israel is very self-serving and not very convincing. Of course, you have a complex pattern of interaction. On the other hand, Israel is the occupying power, and has the international responsibility to protect the civilian population [of Gaza]. And in the case of the kidnapping on Jun 12, they had the opportunity to limit the response to an enforcement action that was done in a reasonable way. Instead they used it as a pretext for seeking to destroy Hamas as a political actor present in the West Bank; and then extending that anti-Hamas policy to the attack on Gaza. So it was clearly a way of using this initial criminal act as a means to pursue a much wider political agenda that focuses on Israel’s national ambition to control the West Bank—at least most of the West Bank, where the settlements are—and to eliminate from that reality the only viable Palestinian opposition force (because the Palestinian Authority that is nominally in control on behalf of the Palestinians of the West Bank, is in a semi-collaborationist relationship with Israel). So the attempt to get rid of Hamas as a political influence on the West Bank particularly, and to punish it severely in Gaza where it’s in control of the governing process, is a crime. KK: Why did Netanyahu not take Abbas up on his offer to cooperate with the investigation into the kidnapping and killing of the three Israeli boys? RF: I think it’s part of Netanyahu’s political escalation of the Israeli approach at this point. They repudiated the direct negotiations—which didn’t make much sense in the first place—but they repudiated them as a way of stating that they would no longer seriously engage in diplomacy but would impose their own solution on the conflict. And that solution involves consolidating control over the whole of Jerusalem and taking all or the most valuable parts of the West Bank and in effect annexing them to Israel. KK: Under the Arms Control Act of 1976, governments that receive weapons from the US are required to use them for legitimate self-defense. Does the US’ arms aid to Israel violate that law? RF: Yes, definitely. From everything I’ve been saying, there’s no legal, political or moral argument that would uphold the claim that Israel is acting in legitimate self-defense. There’s been no armed attack by Hamas or Gaza; in any event, Gaza from an international law point of view, is not a foreign state but an occupied territory. It’s not clear that you can exercise self-defense in relation to a territory that you are responsible for administering in accordance with international humanitarian law. What makes Professor El Fadl profound essay particularly valuable is his ability to fit the regional pieces together in a convincing manner, showing how and why governments that rule in Saudi Arabia and the UAE, encouraged the overthrow of Egypt’s elected government headed by Mohamed Morsi in mid-2013 and more recently encouraged Israel to destroy Hamas. He also shows that Hamas is not accurately perceived as a byproduct of the Egyptian Muslim Brotherhood, but has its own “very distinct pedagogies, objectives and methodologies.” In depicting the forces of resistance and transformation as opposed to the geopolitics of counterrevolution as constituting the core struggle taking place throughout the region it becomes clear why the alignments in the Middle East are assuming their current configurations. Of all the complexities surrounding the reaction of the world to the horrifying spectacle of Israel’s severe criminality in Gaza none is more perplexing than the complicity of most governments throughout the Arab world. What makes their political posture particularly bewildering is the degree of ethnic, religious, cultural, and historical commonality that creates such close ties of identity among the peoples of the region. And no single issue has been as unifying over the decades for these people than has their long intensely felt opposition to the injustice, suffering, and exploitation that the Palestinian people have endured for the past century as a result of the encroachments of the Zionist movement on their lands. It should be recalled that at earlier stages of the Palestinian ordeal, the governments of the neighboring Arab countries did exhibit strong, if ineffectual, solidarity with the Palestinian struggle. Several Arab states jointly attacked Israel, initially in 1948 to prevent the establishment of Israel, and later in the failed wars of 1967 and 1973 that challenged Israel’s existence. These defeats together with Egypt’s accommodation via the peace treaty of 1979 was a defining moment at which the Arab neighbors of Israel abandoned the Palestinians politically, but not yet diplomatically or economically. At this time any tangible form solidarity at the level of Arab governments is now a distant and ironic memory, and has been supplanted in the main by active hostility to Palestinian aspirations and implicit sympathy with, or at least acquiescence in Israel’s regional ambitions in conjunction with U.S. grand strategy in the region . Some official formal hostility to Israel and sympathy for the Palestinian struggle persists at rhetorical levels, but rings hollow. It is true that many Arab countries to this day refuse entry to anyone with an Israeli entry or exit stamp in their passport. Anwar Sadat’s assassination in 1981 was widely interpreted at the time as a populist response in Egypt to his willingness to sign a peace treaty with Israel without simultaneously securing justice for the Palestinians, thereby crossing what was then a red line of betrayal. It was observed by the Western media that few Egyptians bothered to leave their apartments as a show of respect as Sadat’s funeral procession as it passed through the streets of Cairo because the slain leader was so reviled for shamelessly appeasing the enemy of the Palestinian people. Above all, the ongoing struggle for Palestinian self-determination is understood by the peoples of the Middle East, and indeed the world over, as a struggle for the empowerment and liberation of the Palestinian people in the face of severe injustices done unto them over a long period of time, and involving such crimes against humanity as apartheid and massacre, verging on genocide. Increasingly, and never more than in reaction to this recent Gaza horror show, the Palestinian struggle will have to be waged not only against Israel, and its American and European allies, but also against the Arab collaborationist governments in the region that have betrayed their own larger religious and cultural identities, and more revealingly, the most fundamental ideas of justice and compassion associated with ideals of humanity and the ethical underpinnings of Islamic unity. It is notable that only non-Arab Turkey and Qatar have acted responsibly in response to the Israeli attacks that commenced on July under the IDF code name of Protective Edge. The Turkish Prime Minister, Recep Tayyip Erdoğan, has spoken movingly, without hiding his condemnation of Israeli behavior behind the euphemisms of diplomacy, in characterizing Israel’s behavior in Gaza as criminal. Even a group of distant Latin American countries, including Brazil and Chile, have at least shown the depth of their disapproval of Israel’s conduct by withdrawing their ambassadors from Israel. This symbolic expression of disapproval is something that not one government in Europe or North America, the self-proclaimed centers of world civilization, has yet done. The countries of the South have by and large also turned their backs to the Palestinians and the confrontation in Gaza, with the exception of South Africa. Taken together these considerations make it morally distressing and politically mystifying to observe that almost every Arab governments has seemed either to be flashing a green light in Israel’s direction or pointedly looking away. Given the criminality of the Israeli attack and the tragic suffering inflicted on the Palestinian people, complicity by way of such diplomatic endorsements, or even stony silent acquiescence, is at the very least a breach in Arab and Islamic identity, and worse, seems to be an unimaginable case of aiding and abetting genocidal political violence directed at the Palestinian people. Such a diplomacy of indifference is especially notable as expressed toward Gaza, which is governed by a Moslem-oriented leadership. Israel’s persistence in a massacre mode despite the near universal calls for a responsibly negotiated ceasefire was widely attributed to the fact that the Netanyahu government was being encouraged behind the scenes by Egypt and Saudi Arabia ‘to finish the job,’ not of the tunnels and rockets that served as the security pretext, but of Hamas itself as ‘the head of the snake,’ the one Palestinian actor that continued to believe in a politics of resistance. For these Arab governments to act so opportunistically, particularly given the frequency and magnitude of Israeli atrocities is shocking to all but the most numbed of political imaginations. To be sure, the behavior of these Arab governments as mystifying, legally and morally unacceptable, and politically self-destructive warrants condemnation, but it also needs to be understood and explained as clearly as possible. What quirks of political realism led these Arab regimes to so calculate their future? The core explanation of Arab complicity (excepting Qatar) has to do with the Arab governments hating and fearing the Muslim Brotherhood (MB) far more than they resent Israel. This logic is then extended to Hamas, which is misleadingly treated as nothing other than a branch of this supposedly poisonous tree. This hostility to an Islamic movement authenticated from below overshadows Israel’s encroachment on their region, and even its appropriation and control of Muslim sacred places in Jerusalem. In effect what is going on in these top heavy monarchies is a passionate search for protection from possible uprisings by their own populations, which are feared as potential adversaries. Such an initial assessment pushes the question one step further but it does not give us any insight into why this should be so. What are the sources of this hatred of the MB? The MB is perceived as the essential expression in the Arab world of bottom up political Islam that is viewed as toxic by the established order because of its grassroots legitimacy. This reality has induced panic among these Arab regimes that goes back at least as far as the explosive regional reverberations unleashed by the revolution that overthrew the Shah’s supposedly secure imperial rule in Iran (1979). This revolutionary process caused high intensity tremors, especially throughout the Arab world, and especially among the monarchies nurturing privileged and unscrupulous elites that have long kept their populations cruelly repressed and in backward conditions of mass misery. These regimes, generally aligned with the United States, remain obsessed with the maintaining stability of their own rule, and seem to feel that stifling all voices calling for change is a vital ingredient of their own survival. Hamas as an active resistance movement is in this sense perceived as an acute threat to the kind of future that these Arab governments are intent of achieving no matter what the costs in lives and societal wellbeing. First of all, Has has historical ties to the Egyptian MB, the older organization of Muslim activists that has kept the flame of political Islam burning despite enduring harsh suppression dating back to decades before Israel came into existence. Secondly, Hamas demonstrated its legitimacy, and credibility as a voice of the Palestinians living in Gaza by its electoral victory in 2006, and more recently by its resilience (sumud) and resistance to Israeli tactics of aggression and massacre. Thirdly, Sunni Hamas crossed sectarian boundaries by having its closest political ties with Shiite Iran and Hezbollah, and the Alawite regime in Syria, and although these relationships have grown weaker as a result of recent regional developments, their very existence further alarms the Sunni supremacists in Riyadh whose second source of anxiety is associated with a sectarian/nationalist struggle that pits Saudi Arabia and its allies against Iran and its allies. The terrible carnage in Syria is one expression of this sectarian dimension of the regional struggle that complements efforts to crush any expression of political Islam with a strong societal base of support. Of course, in the foreground is the experience of the Arab anti-authoritarian upheavals in 2011, especially the dislodging of Hosni Mubarak in Egypt, followed by expressions of far greater popular electoral support for the Muslim Brotherhood and Salafi candidates throughout Egypt than had been expected by the anti-Mubarak liberals and progressive youth who had earlier dominated the crowds in Tahrir Square. The Gulf countries made no secret of their disappointment with Washington’s refusal to do more to beat back this populist tide that swept over the Mubarak regime, who like the Shah in Iran 30 years earlier, had seemed to offer leaders of these Arab monarchies a model of invulnerability in relation to popular upheavals. And so two years later in 2013 when the chance came, as it did during the faltering presidential term of Mohamed Morsi, it is no secret that the counterrevolutionary coup led by General Ahmed Fattah el-Sisi was most warmly welcomed by Israel and Saudi Arabia. The Sisi coup won immediate aid bestowed in huge quantities (at least $8 billion) from Saudi Arabia and the UAE, hoping that such a large infusion of cash would create a soft economic landing for the new regime, and set up a contrast with the economic failures of the Morsi government. It was hoped that a rapid economic recovery would reassure the majority of Egyptians that they were experiencing a change for the better even if there was little effort by the new leaders to hide the return to the methods and style of the previously despised Mubarak rule that had prompted the earlier upheaval. What is startling is that these Arab supporters never blinked in the face of the crimes of Sisi’s military leadership in Cairo, which featured a bloody crackdowns of anti-government demonstrations in Cario, including even the killing of many MB members while they were at prayer. Sisi proceeded to move against the MB as an organization, having it criminalized and defined legally as ‘a terrorist organization,’ encouraging judicial action that included imposing mass death sentences on many of its members, and generally engaging in state crime on a scale that far exceeded the abuses of the Mubarak period. Even Washington was embarrassed by these excesses, although it maintained a pragmatic silence that overlooked the tensions between its calls for democracy and its actual strategic goal of restoring the regionalstability of the pre-Arab Spring status quo. Until this pattern became evident I didn’t appreciate the relevance of some remarks made to me by Ayatollah Khomeini while in Paris just as he was about to return to Iran from exile to lead the new Islamic Republic in January 1979. This austere religious leader was very clear about rejecting the then prevailing idea that a national revolution was taking place in Iran. He said again and again during the meeting, “This is an Islamic revolution, not an Iranian revolution.” He went on to observe that the dynastic regime in Saudi Arabia was decadent and oriented toward the West. In his view it was as illegitimate a source of governance as was the Shah’s regime that had just been overthrown in Iran, and a justifiable target for further political initiatives by those societal forces that were infused with Islamic values. The revolution in Iran, whether understood as a national or ideological phenomenon, was deeply threatening to political stability of the region. It was a political movement from below that shattered a monarchic power structure in Iran that was viewed in the region and by the West as invulnerable to internal challenge, once described by Kissinger “as that rarest of things, an unconditional ally.” In other words, it was not just that the foundations of the status quo gave way in Iran, but that their crumbling was brought about by populist tremors that enjoyed widespread cultural legitimacy. It was this cultural legitimacy that again surfaced in the immediate aftermath of the Arab upheavals in 2011, and sent tremors of fear throughout the region, and could not be dismissed on sectarian grounds. The explosive emergence of the Islamic State of Iraq and Levant (ISIS) reinforces Ayatollah Khomeini’s central message. Its proclamation of a new caliphate is precisely in line with this type of thinking. The whole carving up of the Arab world into a series of sovereign states is seen from these perspectives as an imposition of European civilization, destroying and destabilizing the only true political community, that of the Islamic uma. Israeli strategists over the years have been divided about their regional priorities, but agreed on the general contour of principal goals. Israel’s preferred Middle East would consist of governments that were both friendly and stable, which made Iran a favorite until it unexpectedly fell apart in 1978-79. Next best, were governments that were formally cool, or even hostile, but remained mostly on the sidelines in relation to the conflict of with the Palestinians, such as King Hussein’s Jordan, Mubarak’s Egypt, and the Gulf states, especially Saudi Arabia. If such stability was not attainable, then strife in a country that was politically hostile was viewed as next best, which is the story of Syria, and to a degree Iraq, in recent years. In other words, Israel could live with regional actors that were rhetorically hostile, as with passport exclusions or UN speeches, but not with states that were politically hostile, and perceived as allies of Palestinian resistance struggle. In that sense, Israel pushed behind the scenes for the American attack on Iraq after 2001 and has done its best to push the United States into a belligerent encounter with Iran in recent years. When it comes to Gaza, and Hamas, the convergence of the Israeli approach and the Arab governmental consensus is an invaluable political blessing for Tel Aviv. It gives Israel unlimited space to push its militarist agenda, however great the carnage and devastation, and even if much the rest of the world may lament the assault upon international law and morality. Even the United States, and its ‘subaltern’ UN Secretary General, have felt the pressure to use their influence to establish a ceasefire, although without daring to lift a critical finger in Israel’s direction and following an Egyptian-oriented peremptory diplomacy that seems more concerned about PR dimensions than achieving an end to the violence. This skeptical reflection was confirmed by the initial ceasefire proposal that was presented to Hamas on a take it or leave it basis, and quite incredibly, that its leaders were informed about only through its media publication. The newer ceasefire approach, based on a sequence of 72 hour truces, follows the same pattern with Israeli and American negotiators refusing to sit at the same table as the representative of Hamas, and yet claiming to seek an agreement that would end the violence. While Israel talks about rockets and tunnels, its massive military operation is being increasingly interpreted by knowledgeable commentators as punitive, and directed not only at Hamas but at Palestinians generally. Some Israeli leaders and their prominent supporters seem to believe that Gazans deserve to die because they voted for Hamas back in 2006, although many Gazans who are dying didn’t back Hamas then or now, and certainly not the Palestinian children who were not even born when Hamas won the elections. A second punitive motivation, and more explicitly endorsed, is a punishment directed at Palestinians in general for daring to form a unity government back in early June, thus challenging ever so slightly the illusion that Israelis had successfully crushed Palestinian political ambition to pursue self-determination by any means other than the futile charade of periodic spurts of diplomacy. Crushing Hamas is seen as a way to make Palestinians submit to the permanence of occupation, the annexation of most of the West Bank, the realities of apartheid administrative and detention policies, and the burial of any prospect of an independent Palestinian state. The Palestinian Authority had been awkwardly docile until it timidly went forward with the unity government, and now must be disciplined by Israel for getting out of line, being taught a lesson once and for all that if it has any future it is to collaborate with Israel, as it had done in the past, with the suppression of Palestinian resistance, above all Hamas, as a telltale sign of its political outlook. More than anything else, these terrible happenings in Gaza should lead to a realization that the future of the Palestinian people and of the region as a whole depends on finding a just solution of the conflict. The abysmal failure of the Kerry induced talks showed definitively that Israel has lost all interest in a diplomacy that promises the Palestinians a viable and independent sovereign state at the end of the road. With a show of self-confidence the Knesset made clear its own rejection of the two-state diversion by choosing an ardent Likud one-stater, Reuven Rivlin, to replace Shimon Peres, as President of Israel. It is past time for the peoples of the world to wake up to the real nature of the challenge and support a more militant international campaign of solidarity with the Palestinian struggle, and insist on boycott and divestment in all venues, working to support arms embargoes and sanctions on the part of as many governments as possible. (Prefatory Note: with only a voluntary effort the Joint Declaration on International Law in relation to the Gaza Attacks by Israel has elicited an encouraging response from legal experts from around the world, including some of our most distinguished colleagues. Others without formal legal credentials have also indicated their support, and expressed their desire to endorse the Joint Declaration. The original drafting group agreed that formal endorsers should be limited to those with a law background, although we have recorded all others in a second list that will be made public when an appropriate occasion arises. We thank all of you who have contributed to this initiative by indicating support. As might be expected the dissemination of this text also generated critical reactions from those who argued that we had understated Israel’s rights under international law and understated Hamas’ violations. There were other more vituperative denunciations of such an initiative and its endorsers that expressed anger and hostility toward anyone who dares criticizes Israel, and even encouraged Israel to persist in its military onslaught in Gaza, and do whatever its leaders think necessary. As international and criminal law scholars, human rights defenders, legal experts and individuals who firmly believe in the rule of law and in the necessity for its respect in times of peace and more so in times of war, we feel the intellectual and moral duty to denounce the grave violations, mystification and disrespect for the most basic principles of the laws of armed conflict and of the fundamental human rights of the entire Palestinian population committed during the ongoing Israeli offensive in the Gaza Strip. We also condemn the launch of rockets from the Gaza Strip, as every indiscriminate attack against civilians, regardless of the identity of the perpetrators, is not only illegal under international law but also morally intolerable. However, as also implicitly noted by the UN Human Rights Council in its Resolution of 23 July 2014, the two parties to the conflict cannot be considered equal, and their actions – once again – appear to be of incomparable magnitude. The civilian population in the Gaza Strip is under direct attack and many are forced to leave their homes. What was already a refugee and humanitarian crisis has worsened with a new wave of mass displacement of civilians: the number of IDPs has reached more than 457,000, many of whom have obtained shelter in overcrowded UNRWA schools, which unfortunately are no safe areas as demonstrated by the repeated attacks on the UNRWA school in Beit Hanoun. Everyone in Gaza is traumatized and living in a state of constant terror. This result is intentional, as Israel is again relying on the ‘Dahiya doctrine’, which deliberately has recourse to disproportionate force to inflict suffering on the civilian population in order to achieve political (to exert pressure on the Hamas Government) rather than military goals. In its Advisory Opinion in the Nuclear Weapons case, the ICJ stated that the principle of distinction, which requires belligerent States to distinguish between civilians and combatants, is one of the “cardinal principles” of international humanitarian law and one of the “intransgressible principles of international customary law”. The indiscriminate and disproportionate attacks, the targeting of objectives providing no effective military advantage, and the intentional targeting of civilians and civilian houses have been persistent features of Israel’s long-standing policy of punishing the entire population of the Gaza Strip, which, for over seven years, has been virtually imprisoned by an Israeli imposed closure. Such a regime amounts to a form of collective punishment, which violates the unconditional prohibition set forth in Article 33 of the Fourth Geneva Convention and has been internationally condemned for its illegality. However, far from being effectively opposed by international actors, Israel’s illegal policy of absolute closure imposed on the Gaza Strip has relentlessly continued, under the complicit gaze of the international community of States. Andrés Gascón-Cuenca, PhD candidate, Human Rights Institute, University of Valencia, Spain. David McQuoid-Mason, Director, Centre for Socio-Legal Studies, University of KwaZulu-Natal, Durban, South Africa. Nina Navid, Human Rights Researcher, (UCL MA Human Rights graduate), London, U.K.
Rasha Sharkia, Media Advisor, Israel/Palestine,UCL MA Human Rights graduate, London, UK. Seline Trevisanut, Assistant Professor in International Law, University of Utrecht, The Netherlands. Minhaj Quazi, B.Com(Hons) M.Com, LL.B.